Inspired by historical Nordic armour patterns, the Ragnar Bracers possess a distinctive look that is sure to stand out on the battlefield. 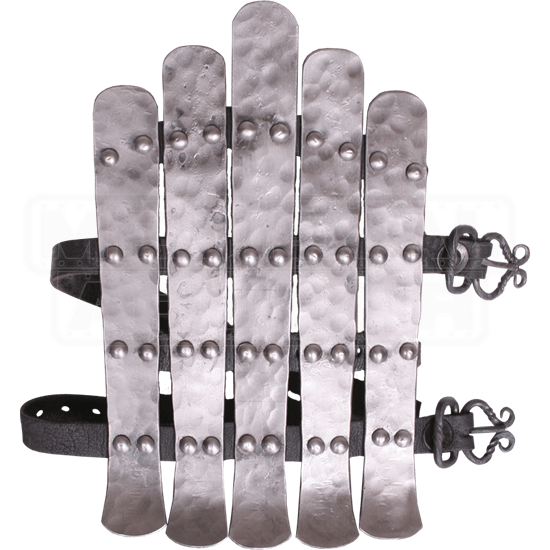 These steel bracers are crafted from five metal strips riveted onto two leather straps. 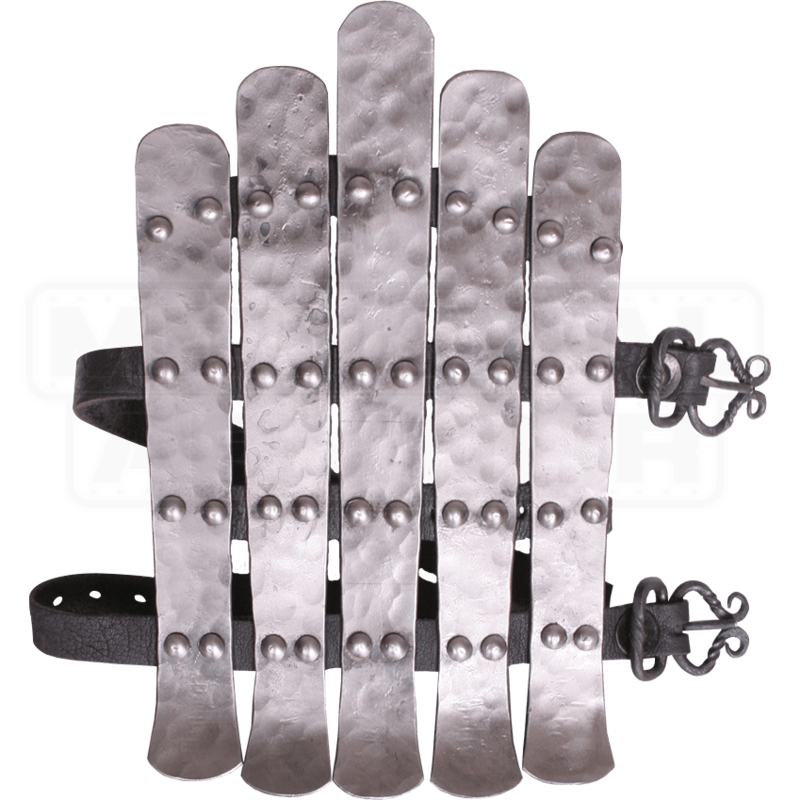 The metal bracers are fastened with wrought iron buckles. The wrist ends of these LARP bracers have been curved outwards to ensure that the wrists can freely move as you wield your weapon of choice. The metal strips feature an antiqued finish that completes the unique look of the steel armour. This historical bracer design has the advantage of being lighter and more flexible than plate armour. Be sure to check out the matching Ragnar Greaves (MY100021) as you plan your next LARP ensemble.